Facts about mass graves found outside Donetsk in the embattled eastern Ukraine were intentionally omitted in UN’s latest report on the situation in Ukraine, members of the Russian Civic Chamber said on Wednesday. According to media reports, a report by the UN High Commissioner for Human Rights failed to mention mass graves found outside Donetsk, contrary to pledges by Spokesperson for the UN Secretary General Stephane Dujarric that the issue would be included in the document. Deputy Secretary of the Civic Chamber Sergey Ordzhonikidze said there was a good reason for that. “The matter is that the policy of the High Commissioner’s Office has always been notable for its pro-Western moods,” he said. “the Ukrainian authorities intentionally did everything possible through their colleagues to have no mentioning of these facts in the UN report.” “If these facts had appeared in the report, the world community would learn about mass tortures and killings, and a probe as well as search for those behind it (the crime) would be a next step”. 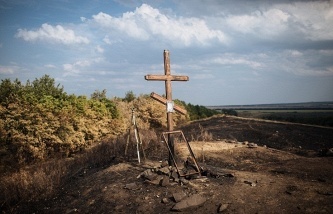 TASS on Wednesday quoted Gianni Magazzeni, Chief of the America, Europe and Central Asia branch of the Office of the UN High Commissioner for Human Rights as telling reporters that safety situation in the eastern Donetsk region prevented access to mass graves. 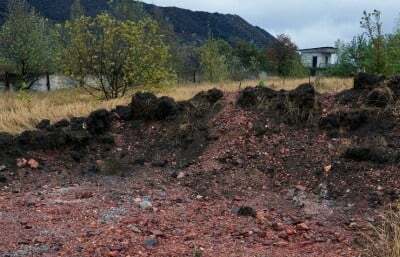 Mass graves with bodies bearing signs of violent death were discovered on September 23 by self-defense militias some 35km north-east of Donetsk. Forensic experts came to the conclusion that the people had been shot in the head at close range. This area was earlier controlled by Ukrainian security forces and the Aidar battalion.